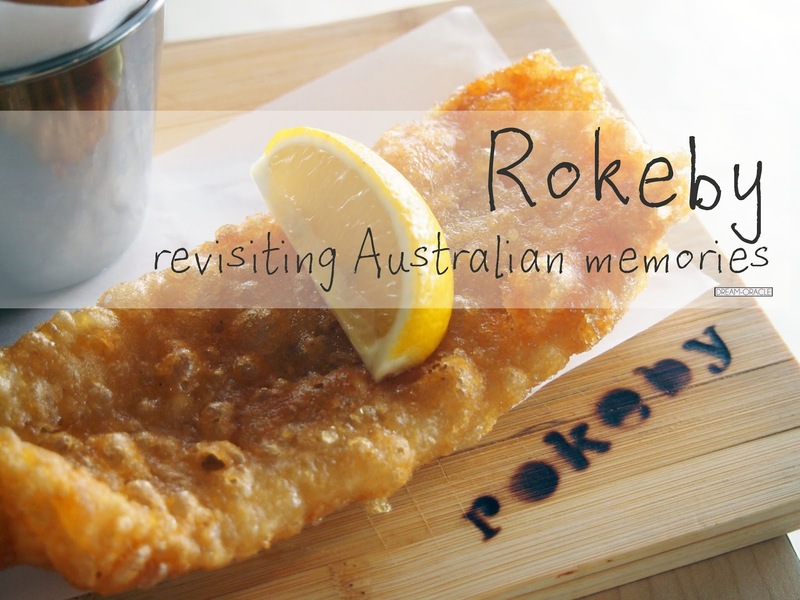 Rokey Bistro Cafe is a quaint little shophouse nestled amongst the quiet Jalan Riang estate and they serve up a unique Australian menu that will delight heavy meat eaters. Seeing as my dining partner and I aren't heavy meat eaters, we opted for something simpler instead. Truffle fries are now a must-have on every Western menu so it's not surprising to see Rokeby offering it too. What surprised us was how terrific the fries tasted! 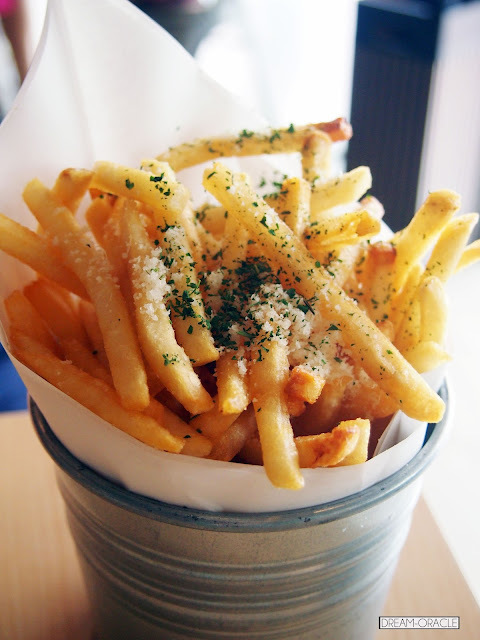 They drizzled a generous portion of truffle oil over the fries, so each fry was fragrant and crisp. It's one of those "fight-for-the-last-fry" fries quality. Definitely a value-for-money must-try! 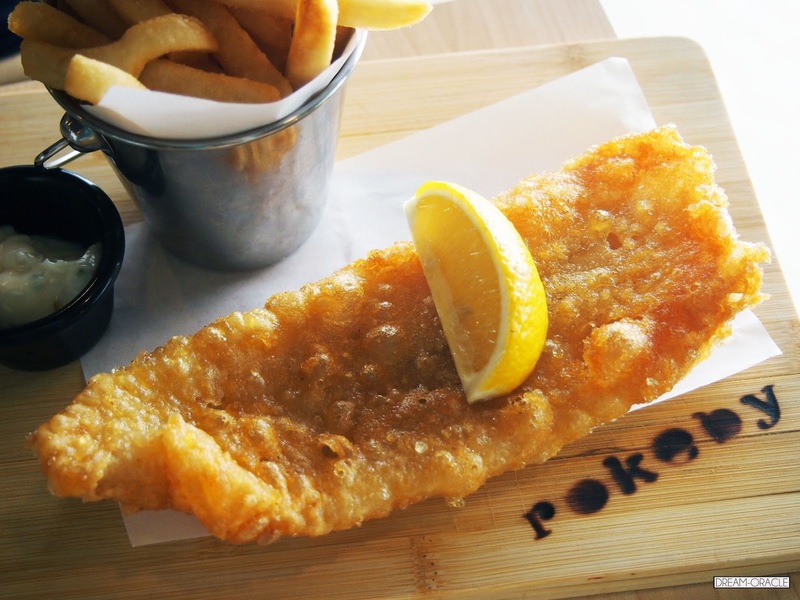 The fish and chips here is on the pricey side, but this piece of beer-battered fish is the flakiest, freshest and sweetest I've ever tasted. The batter wasn't too thick, and it was a case of crispy on the outside, soft on the inside. Excellent indeed. 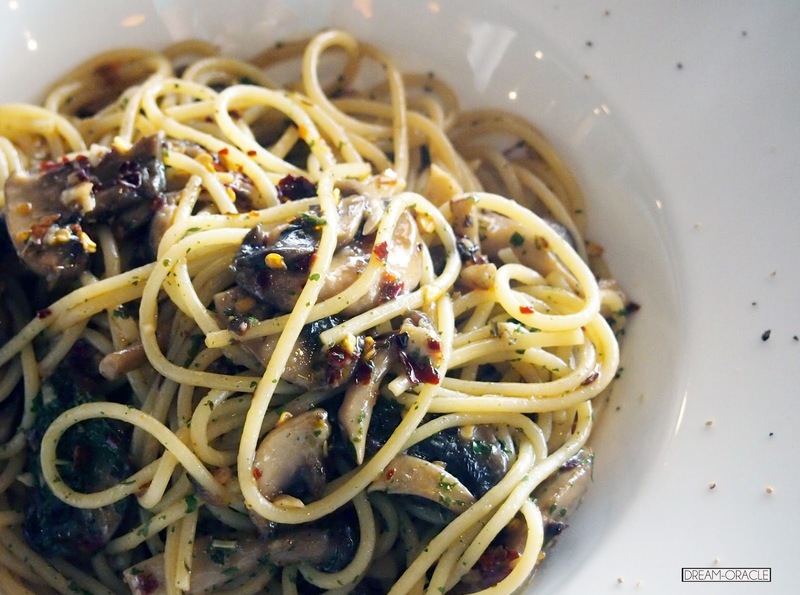 The mushroom aglio olio is my go-to for simple pasta dishes. Albeit on the spicy side, this pasta is cooked al dente and flavourful. You can choose the spicy level, I picked the lowest but it still took me many water breaks to finish it. It's been a long time since I sat down to a proper full big breakfast kind of brunch, and this one was yummy! The hashbrown was so crispy and fragrant that it elicited an "oooohhhh" from us when we dug in happily. Eggs were creamy and smooth, and the mushrooms were especially fragrant and juicy. 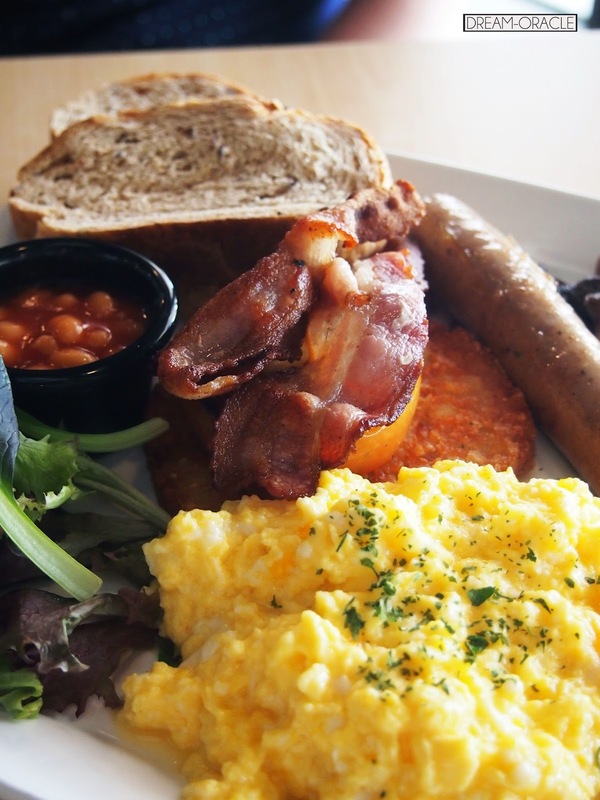 It's a huge portion so if you're a small eater, best to share. Thumbs Up: The truffle fries! To Improve: Lighting, the place is not conducive for photo taking haha! Will I return: Oh definitely! Why: Best place for truffle fries, besides Habitat Cafe.